Calling the entire Warrior family, friends, fans, and student body. 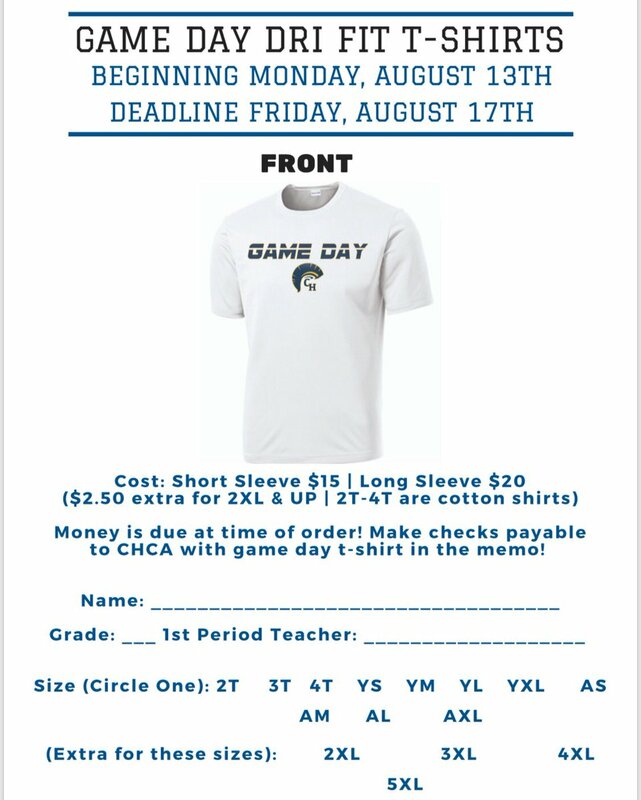 Check out the CHCA Game Day shirt. It will be perfect for Spirit Friday’s on campus and at the games for ANY sports program at The Hill!